Marianne made a beautiful hand-smocked Baptism gown for my grandaughter along with a smocked pillow with her name embroiderd on it. The dress also had a hat,Bib with name, and Marianne emproiderd the name and date on the slip. I now have another grandaughter and I returned the slip to have her name and date embroiderd on it in 2009. She also made a new bib with the new babies name. There was a time factor on the slip and bib, Marianne came through on time. I don't think I'll have any more grandchildren, but when the two have babies of their own we hope to continue the tradition of names and dates on the slip. Thus making this dress and heirloom to be passed through the family. Pearl trimmed organza flower attached to a comb with a double layer veil (one tier also available) with small pearls on the edge. Also available with Beaded cross, Swiss cross or Venice Lace cross appliques or new embroidered crosses on organza and attached with narrow trim to veil. Edgings available on veil: Small pearls (shown), narrow silk satin ribbon, rolled hem or satin cording. White only. Irish accents may be added to all items available on this website. Approximate finished length 20". 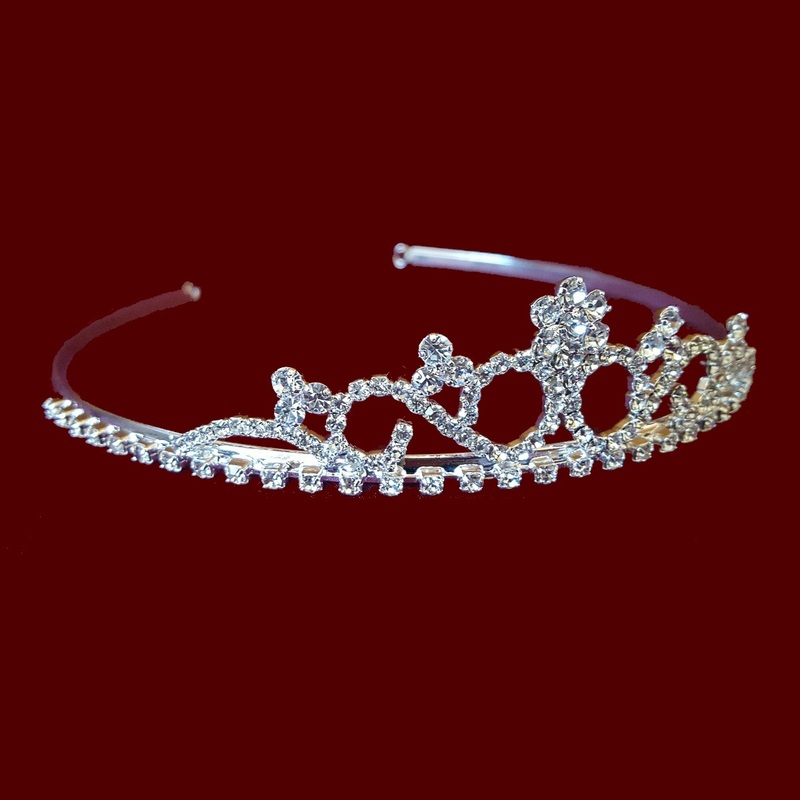 (also available in your choice of finished length, please add to special requests). 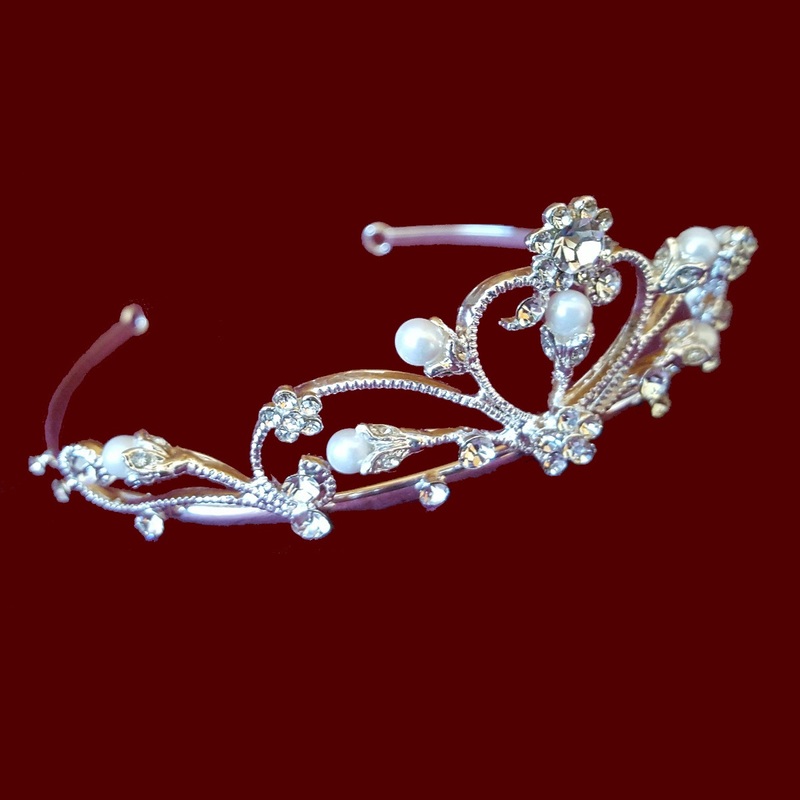 Optional pearl tiara, floral wreath, pearl rhinestone tiara, silver rhinestone tiara or pearl headband also available.